With the T20 leagues flourishing in the modern era, one of the biggest challenges is coaching the franchises over a short period of time. One name that has had rich experience and relatively decent success in this field is Paddy Upton. Firstpost sat down with him at the Brabourne Stadium to understand the art of coaching a T20 side. The arrival of T20 format didn't just change the dynamics of batting, bowling and fielding but also coaching. With the T20 leagues flourishing in the modern era, one of the biggest challenges is coaching the franchises over a short period of time. It requires expertise. And one name that has had rich experience and relatively decent success in this field is Paddy Upton. Upton has coached five different T20 teams in 13 tournaments across three major leagues, the Indian Premier League (IPL), the Australian Big Bast League (BBL) and the Pakistan Super League (PSL). He pulled BBL side Sydney Thunder out of debris, having lost 21 of the 22 matches in three seasons, and guided them to their maiden League title as the head coach in 2016. 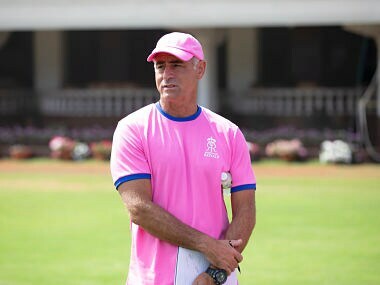 He is back again at the Rajasthan Royals for a second stint, having served as a head coach from 2013 to 2016, looking to propel them past the finish line. 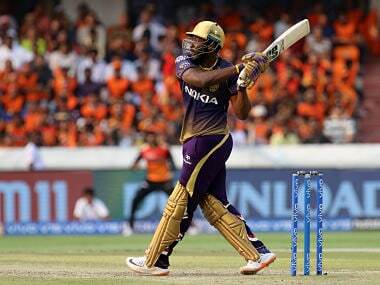 Firstpost caught up with Upton to talk about the difficult task of coaching T20 franchises. You worked as a head coach for the first time with Rajasthan Royals, now you are back again after four years, what different do you bring to the table? One of the main things is experience. I have had 13 seasons now between the IPL, PSL and BBL for five different teams as a head coach. One makes a lot of mistakes early on, learns a lot of things, understands and gets to experience and navigate through different situations. Winning and particularly losing. One of the things I bring in is how to manage myself and players and keep the ship afloat when things aren’t going well. How much does it help, knowing the franchise, the players while trying to get settled in for a new season? I am definitely able to come in at level three as opposed to level one with the other franchise where I have to learn the system and people and build the relationships. I understand a lot of people here, the owners, the culture and ethos of the team. It' just like coming home after being away for a while. It's very familiar, comfortable but I've had the benefit of stepping away and coming back now with fresh eyes and enthusiasm to hopefully take things up even another notch. What's the biggest challenge for a coach in T20s? 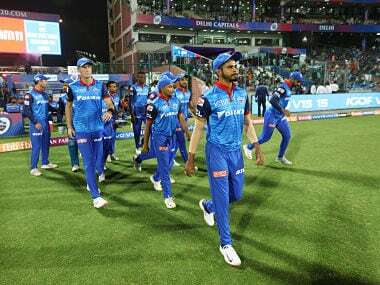 In T20 tournaments like this (IPL), the biggest challenge is the fact that it’s a temporary team and a diverse one. Most cricket coaching traditionally is that you have a team for an entire seven, eight or nine months of a season and it's a team of people from the same state or at least the same country. The unique thing about the T20 is the temporariness and diversities, so that requires very different coaching against the traditional approach. And it's largely trying to get everybody onto the same page around onfield strategy, how we manage the processes off the field between optimising meetings, travel times, practices and of course the other one is trying to bring a bunch of diverse individuals. Specifically to create a really happy supportive team environment in a very short space of time. Traditional team building philosophy suggests it takes a long time to build a high functioning team, here, we have to short cut all those traditional processes. Most of the teams now have a heavy backroom staff, mentors, bowling coach and batting coach. When there is specialised coaches for everything, what exactly is the role of a head coach? It's different in a different environment. But what's really important with a fairly large coaching staff is that everyone is very much aligned around the same coaching philosophy and the same coaching process. And for me personally, my philosophy is that as coaches we are there firstly to serve players for their learning, their growth, development and experience. Meaning, we place the players and their needs ahead of ourselves. That's one thing you need, a servant-leader oriented type coach which is a very specific type of personality. 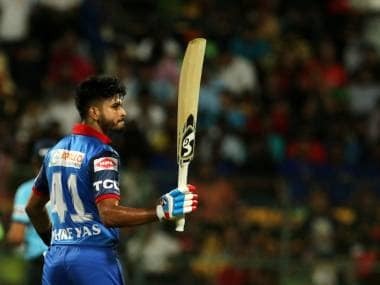 The other thing is, in the small-sixe tournament like the IPL of 6 weeks, you don't want coaches, who don't have a long term relationship with players and specifically players' techniques, to come in and do too much tinkering with players' batting and bowling techniques. There is not a lot of technical coaching that happens unless someone has an established relationship with that player. The role as head coach would be to ensure that the coaching staff are on the same page, supporting the players' needs. Additionally, this season as a head coach, one of my main roles is to also bring in the mental side of the game which previously was put little bit on the back burner in my other head coaching roles. Doesn't having so many coaches lead to over information for the players? There is a very real potential for it to end up in over information. And that's where managing the support staff and having a very clear philosophy becomes important. We will make sure that we have support staff meetings and we are very clear of not falling into the easy and obvious trap of over information. How challenging is it to get the support staff on the same page in such a short span of 6 weeks? 50 percent of that battle or more than 50, is won is by selecting the right people. Zubin Bharucha has been the director of cricket ever since the inception of RR and he is very clear on the philosophy of the Royals. I have spent five years working with him so he deeply understands my philosophy and the coaches he would pull in are very much aligned with that philosophy. The selection of coaches is critical which I am very comfortable with having Sai (Sairaj Bahutule), Amol (Muzumdar) and Stefan Jones on board who easily align with that philosophy. Having worked with various franchises around the world, have you got a better idea of what the key ingredients are for winning the tournament? I am getting a better idea. I haven't got THAT idea yet (laughs). This is such a young and ever-evolving format of the game. But there are some very key processes: how you prepare is really important, it needs to be tailored to each individual player because there are different stages in their career, there are different workloads when they actually arrive at the beginning of the tournament. I am fairly clear on how you create that environment that has the best chance of getting the best out of most people. Your onfield strategy is really important but the luck factor is also important. A ball bouncing in a gap versus a ball going to hand, a ball just going over a boundary versus it getting caught and a really good player firing on a day. You can do all your preparations you need but there are still aspects that you have no control over and that's what makes it such a beautiful game. It can just derail the best-laid plans. With packed calendars, short time, fatigue, as a coach, how do you get the best out of a player in such a short time? 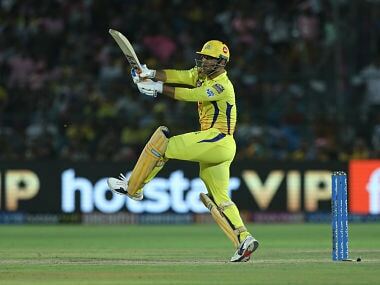 One of the things that happen in IPL is that the players' physical, mental and emotional energy generally drops off because of the intensity of the tournament, the amount of travel, the late nights etc. So there are some practical things that can be done to maintain the players' physical energy by balancing the rest and activity well. Paying real attention to recovery after games through sleep and hydration. Being very deliberate in the kind of foods the players are getting. At the moment, hotel and restaurant foods are not necessarily of high nutritional value, so we will be paying a lot of attention to that. Maintaining the player's emotional energy is difficult. We don't have metrics for that. But I would say that having an emotionally intelligent approach, being attuned to the fact that your players will go through difficulties, is important. For example two years ago, we had a player who lost a parent during the tournament and there are other players who go through emotional difficulties off the field and away from the ground. And we won't necessarily know what they are but we need to be sensitive to that and create a platform for the players to be able to process those emotions. We can't measure the mental fatigue due to pressure situations but something we will be doing this season is bringing in processes to try and have mental recovery after games for players. The other thing that is really important is to listen to players as to how they feel, what they need and what we can provide them to help them stay mentally, physically and emotionally fresh. A lot of cricketers have praised you for keeping the team together, but how exactly you do that with players coming in from different parts of the world, with different culture? I have gone away from cricket and got extensive training and university qualifications in leadership and man management practices. The way I do that, I draw it from the leadership and man management practices more so than from cricket. I have drawn a lot from those skills, additional to my understanding of cricket skills. But what's the formula you employ. Basically, you have players coming from different part of the world, they have different culture and language, some of them can't speak English. So how do you manage to get them working as a unit? The first thing is to understand the depth and complexity of diversity. I am fortunate that I am coming from South Africa. We are a country of many diverse cultures and people. India is a country with even more diversity. So I come with at least a sensitivity towards diversity where I cannot impose my views, ways, traditions, culture on a whole group of 25 players. I need to get my views out of the way and create an environment where there are acceptance and allowance for differences to be able to co-exist. It's just an awareness and deliberateness about working with that diversity and creating an environment where each individual can uniquely be themselves. What brings the best out of someone is when they can be themselves and feel comfortable. You have been known to employ unorthodox coaching methods, but do they always work? The unorthodox methods I bring in have got a very solid academic and scientific research background. So they are not things that I invent while I am standing in the shower in the morning (smiles). So I know that the philosophies are sound. However, they don't come from cricket so I am applying them in cricket. The one that really stands out is my first year in the Pakistan Super League where I went in with a very empowering approach and as it turned out, I was too empowering, expecting too much of the players to take the responsibility for themselves, for constructing the combined collective strategy within the team. But what I needed to be was a little bit more direct. And, it was only towards the end of the season that I realised that my approach and what the players were used to were a bit too distant from each other. So the philosophies and approaches work but they needed to be applied with the right group at the right time in a right way and that really is more of the art while the actual philosophy is the science so it works. Can you take us through some of the unorthodox methods you have applied as a coach? From a team building perspective, I've done movie making with players. Improvisation theater with teams. 10 years ago, Gary Kirsten and I had brought in the level of optional practice that is happening at the moment. I've had sessions where players talk among each other and in the team deeply about their personal lives. A lot of players have said it has helped them connect at a deeper level. With the bowling unit that has never bowled together, we have conversations that go beyond just how we are going to bowl as a bowling unit. How are we going to support each other. If two opening batsmen haven't batted together before, I will facilitate conversations between them that will get them to fast-track their understanding of each other and teach them how to support each other. Taking a deeply personal approach to managing players' energy levels. For example, if a foreign international player has been on the road with the national team for a long time and comes straight to IPL. If we know he is not going to play a game for example, and if his girlfriend flies in to meet him, instead of him staying with the team, we will send him off to go to wherever he wants to go in India whether its Taj Mahal or anything. Go away for five days, get away from cricket, go and have quality time with your partner. We will pay for your hotel because we would have paid for your hotel anyway. And players appreciate that. So it’s a deeply personal touch and personal caring beyond just how well a player is hitting a cricket ball or bowling it. But have there been situations where you have faced any resistance or repulsion? I haven't ever faced open resistance and repulsion because part of my approach is that if you disagree with something or you think something could be done better, it's your responsibility to bring it to me for us to have a conversation. I see my role as one where I create an environment that allows the players to prepare in the best possible manner so that they can be in the best mental, physical and emotional place to produce results. So if that's my commitment to a player, the commitment I request back is if something could work better, please bring it to me and I promise you I will work with you to make it as best as possible. So, it’s very difficult for somebody to resist when I say I am prepared to work with you. This said, there might well be some players out there who don't agree with something that I do and never brought it up with me so therefore I am not aware of it. You have a mix of senior domestic, international players and youngsters, how do you handle different egos inside the dressing room? Ego is always prevalent and present. However, the environment we create is one that doesn't reward and invite ego and it's one that really rewards and invites people to transcend the egos. So for example, when senior players connect with and help junior players in the game, the ego is transcended. We also are very deliberate in not picking the well-known high-ego-oriented players because that is a very key part of working together, supporting each other, creating a great environment. The environment often in a team is the mental conditioner, it's not the individual and we create an environment that rewards senior players being accessible to helping junior players. Ego is all about serving self and transcending egos is about serving someone else. And we create an environment where serving other people and the team is acknowledged and rewarded. What happens if a particular player is repulsive or resistant to things inside the dressing room. How do you deal with it? If someone is really resisting something then it's a case of trying to understand them and listening to them. What is it that's really not working for them? And generally, you are always one mature conversation away from resolving the situation. At least to 80 percent resolution. If a player's feeling really depressed or low it means he is needing something. I will look to go and have a conversation looking if there's anything I can provide for the player. It’s generally something around support, acknowledgment, recognition or caring. It’s about being able to hear what is it that's getting them into that space and helping them find a way towards the solution or at least reconcile themselves within that situation if there isn't a solution. That is a time to really draw close to a player and if it’s not me, because I might not yet have the relationship, then try to connect him with a someone they trust and can help him resolve that situation. 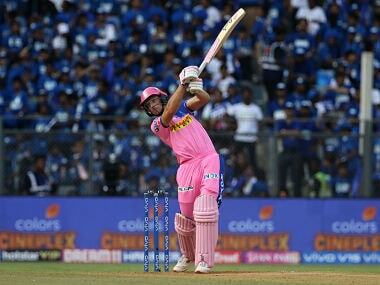 T20 is as much a mental game as physical, sometimes, a player ends up overthinking, how do you spot that? Overthinking is a very common mental error that normally comes from over striving, which in turn comes from wanting a result too desperately. The more desperately we chase the results the pressure increases and the fear of failure increases. So if I were to encapsulate that, the fear of failure and the pressure to do well are probably two of the single biggest mental obstacles to success and the two of them are very closely interrelated. So the fear of failure, pressure and player overthinking thing is immediately an indication that they are thinking too much about the future. They are stuck in their thinking brain, in future and on obsessing over themselves. So some of the ways to overcome that is to try and get a player to focus on the present moment and to try and get them to become less self-obsessed, in doing so, to look towards serving the teammates, the team, their family or whatever that might be. And also to decrease the value of the result. Because the amount of value we place on the result, is directly related to the amount of pressure we experience, when we make the result too important and need to do well, that need creates too much of a desire. We try and recalibrate the players to really wanting to do well and be okay if they don't. And often the problem there is the person attaches their self-worth to their result. And we try and help a person get unattached from that and get them to recognise and realise that you are okay if you score runs or you don't score runs, you are still the same person and you are still okay with who you are as a person. How important is flexibility with team protocols when you are working with big personalities, someone like for example Ben Stokes or Jos Butter? I will answer that in two ways. Having flexibility in a team is an absolute must. I think players must all be treated differently. I don't believe in everyone must be treated the same at all. However, I don't believe someone must be treated differently because they are a big name or a superstar. Someone who has played a lot of cricket in that particular year, they are in really good form, they have the option whether to practice or not. So what a youngster needs to be doing is the same thing that a Jos Buttler or a Ben Stokes did when they were at the same age at the same level of experience. I don't expect the international players to eat masala dosa for breakfast. People who want to eat masala dosa can eat that and people who want to eat scrambled eggs can eat them. So everyone is treated differently but for the right reason not because of their status. Because then you start getting egos and divides start to happen in teams and you cannot build a team unit if some people are treated more special than the others. How much do you rely on data (analytics and statistics)? Data, analytics and statistics are vital in this day and age to constantly be seeking that extra one percent advantage. The challenge is finding that one percent in all that reams and reams of data that are available and not getting lost in that data. Ignoring it or dismissing it is a problem. Getting lost or being enslaved by it is also a problem. So the challenge is to ask the right questions that direct us to that data that actually makes the difference. And that's the real challenge that no one has nailed yet in T20 cricket. What chat did you have with Steve Smith who's coming back to competitive cricket after a long time after all that has gone through in his life? I have worked with Smith in a few tournaments before. The first thing I would do is to connect with him and talk to him and build a relationship. Because without the relationship and trust, it doesn't matter what I say to Smith at all. It's not going to land. And it's not just Steve Smith but anyone. So I won't necessarily be telling him anything, I will be asking him stuff, building a relationship, seeing what he needs and seeing if there are any areas he feels I can help him in. Which is the definition of coaching as opposed to telling. I won't be telling him anything, will be asking him. Last season guys like Rahul Tripathi and Buttler were batting out of positions and the team management took a long time to realise and correct it. Sometimes it can be crucial, as a coach how do you avoid these situations? A very good debate in T20 cricket at the moment is, do you leave players in their roles to play the same role that they always play? That way, they get established and are clear about their roles but they also get highly predictable to opponents. Or, do you coach players to be flexible, to be able to adjust to different situations in the game, to have them in at times that suit their games facing against the bowlers that suit them. So do you go in asking players to have flexibility and being able to adapt and adjust as the game unfolds. I am not yet convinced if one or the other is better but there really is merit in both of them. And RR has traditionally gone with the flexible approach and there is very sound thinking behind that. There will be more clarity to this in three, four or five years’ time. But certainly, at the Royals, we will be going in search of what will be happening in three, four, five years’ time and whether we can be leaders in that field. Rajasthan Royals always go into the tournament as underdogs and not favourites. 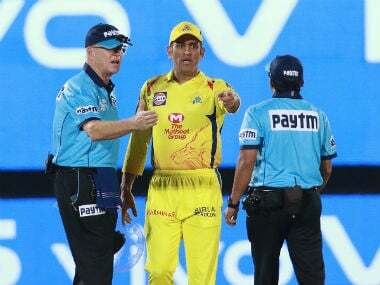 They are not normally spoken in the same breath as CSK or MI, how does it affect the mentality of the players? Is it an advantage or a disadvantage? If you just take it from a sporting perspective, there are two opponents that you are going to be really wary of, one is the opponent that's got nothing to lose and the other who is full of confidence. 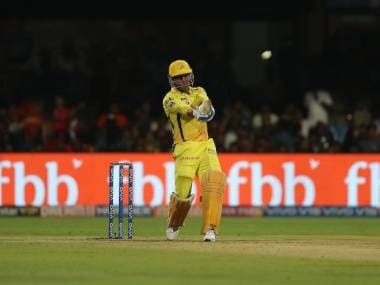 So going in as the underdogs in a high pressure environment like an IPL game is certainly an advantage because the pressure rests on the other team. Isn't it good to go into a tournament knowing that we are the favourites which instills that extra force into the performance? If you go into a tournament as favorites that means other people think you are good. And other people have expectations. And that's what creates pressure. If you go into a tournament like underdogs, which we often have, knowing we have the team, the environment, everything it takes to win and we believe we can win, we go in with confidence and don't have the external pressure.